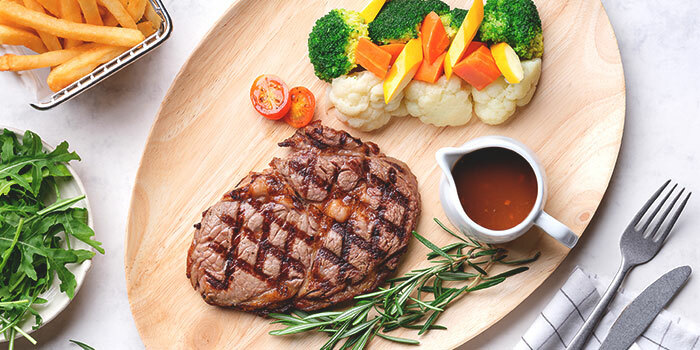 In honour of someone so exceptional, Carlton City Hotel Singapore will play host to all mothers by putting together a gastronomic Mother’s Day Buffet Lunch at Plate on 12 May 2019 and treating these queens to a special 50% discount. 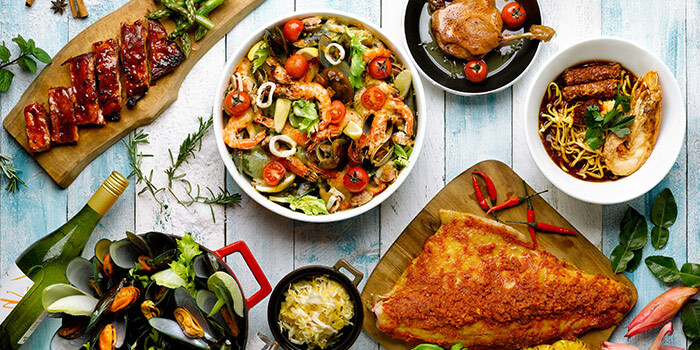 The whole family can gather to celebrate this wonderful occasion over a heartwarming meal of mouth-watering dishes, with some of the most well-loved local culinary fares taking centre stage. 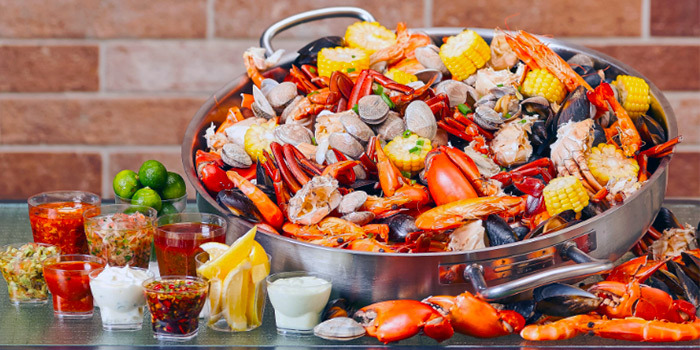 Begin the indulgence with fresh seafood on ice including snow crabs, tiger prawns, and half shell scallops, or feast on a range of palatable appetisers such as Smoked Salmon Greek Salad and Chilled Prawn Salad on Mango Salsa. Local cuisine lovers will be delighted with a comprehensive range of perennial favourites including Singapore Chilli Crab and Black Pepper Crab, Singapore Laksa, Poached Chicken with Ginger Sauce, Drunken Prawns and Black Vinegar Pork Trotters. Over at the Chef’s station, be pampered with fresh servings of Kueh Pie Tie, Popiah and Chwee Kueh. Other savoury fare like the Steamed Whole Salmon with Salted Bean Sauce can be found at the carving station along with assorted roasted meats on the roasting board. Conclude the sumptuous Mother’s Day treat on a sweet note with an array of tempting desserts such as the Signature Muah Chee and homemade Bubur Cha Cha, a chocolate fountain and assorted pastries. In celebration of Mother's Day, all mothers will also receive one complimentary serving of Abalone and Dried Scallops in Superior Broth. 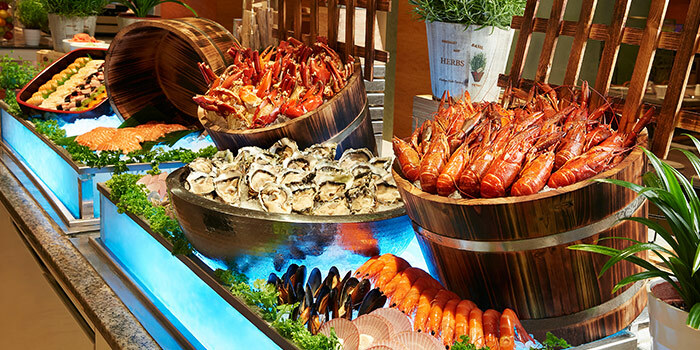 Located on the third level of the contemporary Carlton City Hotel Singapore building, Plate caters to a wide variety of appetites from those seeking elevated local dishes, to those hungry for continental grills, sandwiches, and pastas, all from a beautifully appointed modern dining space. Not to be confused with the Carlton Hotel at City Hall, the Carlton City Hotel Singapore near Tanjong Pagar is a prominent new addition to the city's southern skyline. Once you've sorted out the locale, you're in for a treat of a new, modern restaurant that fits the hotel's attractive aesthetic. Ideal for your next business lunch or group dinner, Plate embodies its name and serves up a variety of tasty offerings that aim to please. The adept kitchen dishes out regularly updated lunch and dinner semi buffet and buffet options, and an a la carte menu for your palate's musings. 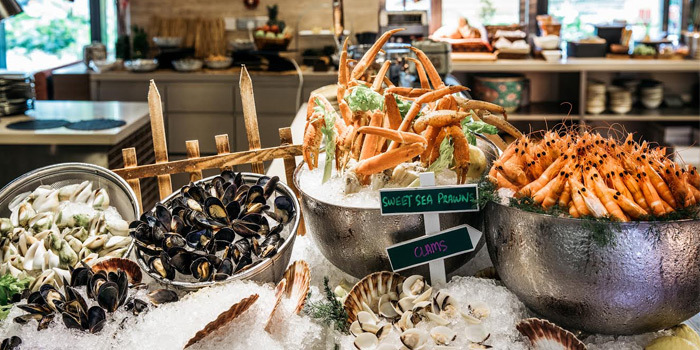 Plate at Carlton City Hotel Singapore presents a fun and energetic Easter Bouncy Bash on Sunday, 21 April 2019, featuring a curated buffet spread of fresh seafood, succulent meat and piping hot mains to celebrate the spirit of the occasion. In addition, look forward to a host of interactive entertainment for the young ones between 12pm and 2pm. Kids can enjoy bunny hopping in the bouncing castle and be kept entertained by a balloon sculpting show while indulging in the variety of delicious treats. The Easter Bouncy Bash is available for one day only on 21 April 2019 from 11:30am to 3pm at Plate (level 3) of Carlton City Hotel Singapore.